It’s the perfect gourmet gift for someone who likes a little of this and a little of that. 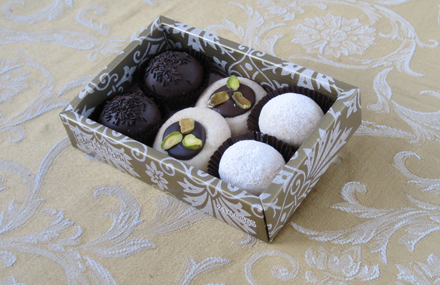 **This item is currently packaged in Truffle Boxes. Brocade Print will be available for the Christmas season.